Home / Blog / Jumpstart with Canadian Tire! It was beautiful weather in St. Thomas last weekend, where Sikorski’s had set up camp in the parking lot at the Canadian Tire on Talbot Street. 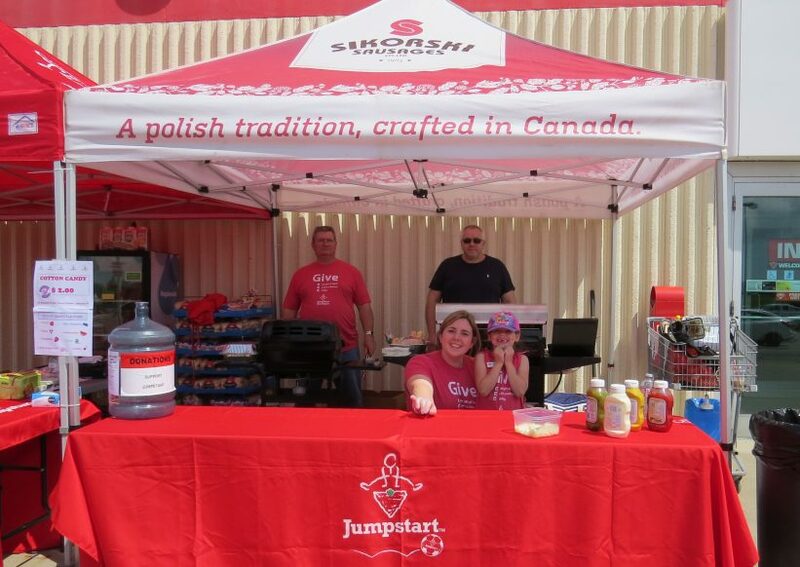 Our tent was up and our grills were hot as we passed out sausages and hot dogs in support of the Jumpstart program. Canadian Tire’s Jumpstart program works to help get Canadian children more involved in sports and physical activity by helping to remove or reduce some of the financial burdens that can get in the way of our kids staying healthy and being active. Sikorski’s was proud to help with some fundraising for this worthwhile cause while also getting to meet a few of our customers and fans in person! Thanks to everyone who came by and helped out – it was great working with you.